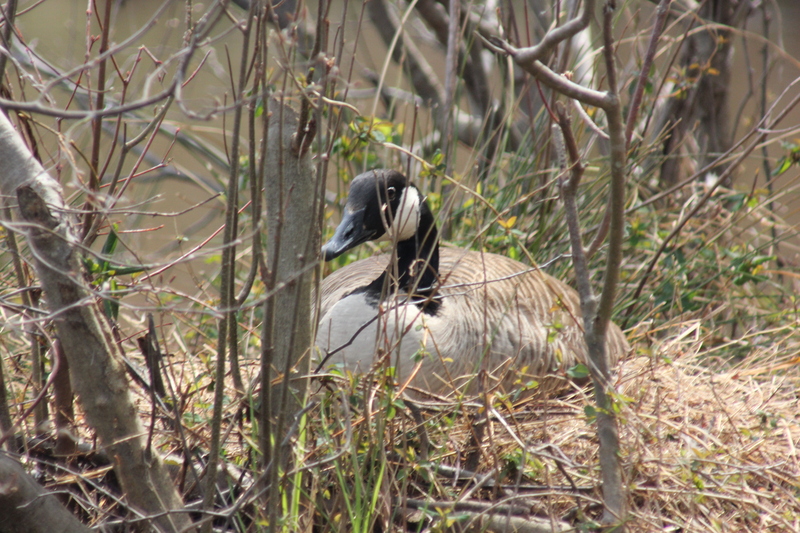 I was at the pond fishing from my jon boat and came across a Great Northern Goose sitting on her nest. This entry was posted in Water fowl and tagged Birds, Fishing, Jon Boat, Nesting, Northern Geese, Outdoors, Pond, South Carolina, Water Fowl by Mud. Bookmark the permalink. Thank you very much for your comment. I am hoping for the best for this Goose and her expectations. On our ponds, the geese and the swans are having a private war. The swans “own” the ponds and the geese are moving in. I’ve been following the story on my blog. You might find it interesting. The geese stole the swan’s nest. The swan’s built a NEW nest. The geese keep harrassing the swans. The swans harrass them back. They are acting just like … people! That does sound like the way people act sometimes. Last year a Mallard made a nest right beside the goose. This year the ducks are back toward the swamp. This is the only nest in the open, the rest of the geese and ducks hide their nest a little better.